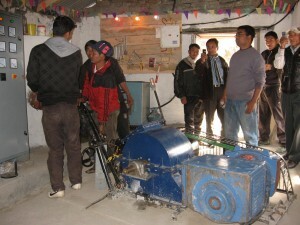 Tawal micro-hydro system officially opened! 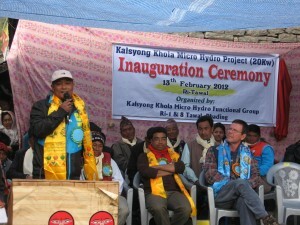 NAFA’s President, Rod Setterlund officially opened (as “Chief Guest”) the 20 kw micro-hydro system on 13 February 2012 in front of the Tawal/Tawal Besi community, Ross Hazelwood (NAFA’s Project Coordinator), Chandra Tamang (Tawal Coordinator) and other distinguished guests, including Mr Suresh Shrestha, REDP engineer from the Nepalese Government who oversaw the 9 month project. Volunteer labour from individual families was a major factor in the success of the project over the 8 month construction period. 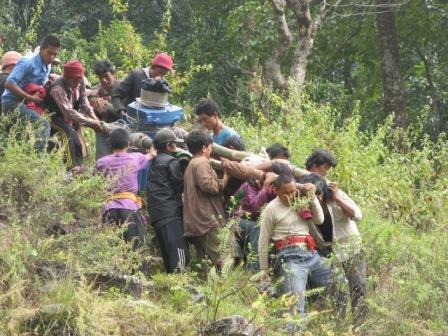 Every family carried an allocated number of kgs of sand, stones, cement, wire, wooden/metal poles and pipes, electrical-mechanical equipment and other materials to the site from the riverbed and road-head. During construction in November, we witnessed women carrying 45 kg bags of sand from the river (a 2 hour down and 4-5 hour up trip) and 22 men carrying the generator that weighed nearly 300 kgs from the road-head. They said it took them 4 days to carry it to the site and this was after a 3 day trip to carry the 320 kg turbine. 240-250 houses will be connected by the end of February for electricity as well as two schools and a health clinic. In addition, small businesses will be established with applications for electricity connection for a furniture business and a grain mill already in process. The two operators of the system (Ashok and Kipa) have both received NAFA sponsored 6 month electric wiring training and will receive further micro-hydro specific training organised by REDP. 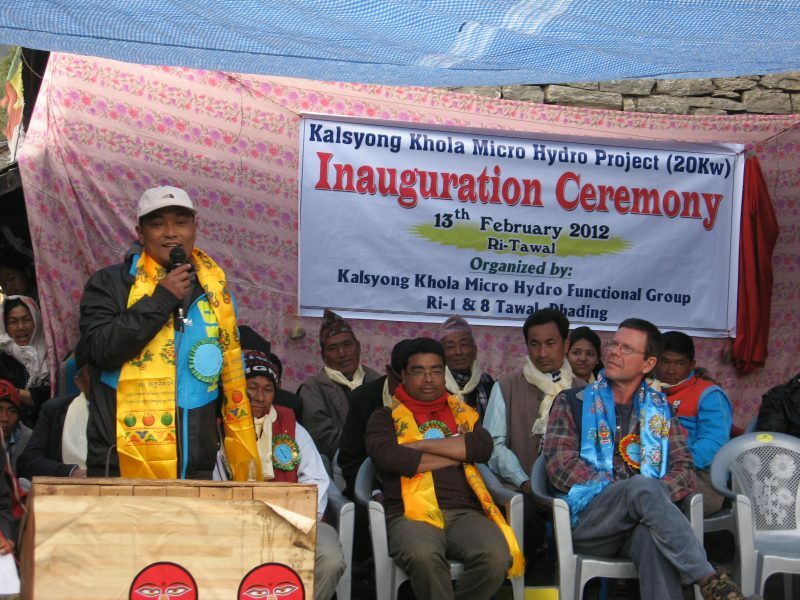 At the opening ceremony Mr Shrestha said in his speech that projects of this size (20 KW) often take 2-3 years to complete and are often more than two times over budget due to problems at the community level with volunteer labor, local expertise etc. He said it was a credit to the Tawal community that they completed the project in line with the originally projected timeline and very close (within 3%) of the original budget. Thank you to all those who contributed to both the Tawal and Lumsa projects and congratulations to both communities for achieving such a significant development goal.